Michael B. Levin portrays the voice and mannerisms of Frank Sinatra with true talent and sincerity. Michael was born in the Bronx and raised in Brighton Beach Brooklyn. As a kid, Michael always entertained his family and their friends at family gatherings and he began playing drums at sixteen years old. Eventually, he began singing and playing professionally at clubs that he was really too young to be in. Wanting more than just to be a singing drummer, Michael gave up the drum sticks to front a band, and has never turned back. Michael did stand-up in New York and Los Angeles incorporating his singing impressions. His one-on-one relationship with the audience doing stand-up, has translated to his relationship with the audience when he sings. Michael’s fans follow him around the country. Michael B. Levin has performed in casinos from Arizona to Yosemite, and has headlined for several major cruise lines. As Frank Sinatra, in a Tribute to the Rat Pack (“Rat Pack Encore”), as well as touring with his own band in “Sinatra, Bennett and Me”, Michael recently performed with the California Philharmonic at the Walt Disney Concert Hall in Los Angeles. The star of the long running Las Vegas show “The Rat Pack Is Back”, Michael loved performing at the Sahara hotel in Las Vegas. The show was produced by David Cassidy and Don Reo. Michael has worked with many of his fellow entertainers like Jeff Foxworthy, Carlos Mencia, Paul Rodriguez, and others. Besides his singing career, Michael is also an accomplished actor. Recently, Michael completed two theater productions in Hollywood, guest starred on a Disney hit show, and does voices for characters on Nickelodeon. 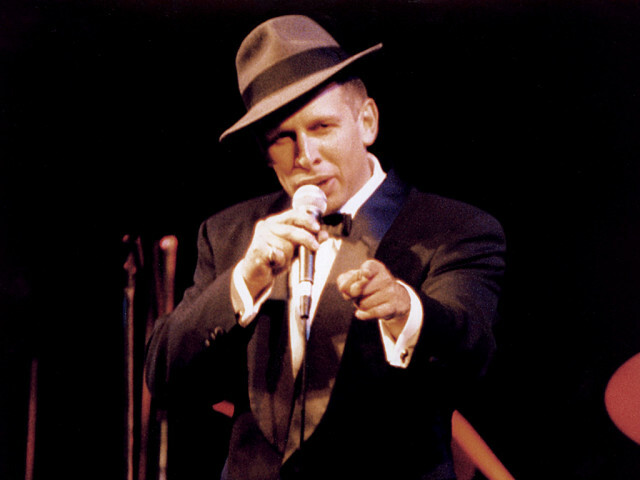 Professional and talented, Michael B. Levin as Frank Sinatra is a great tribute to “Ol’ Blue Eyes”. He gets the audience swaying and singing along to the all the great iconic songs. His show is perfect for casinos, special events, nightclubs, performing arts centers, and large festivals.